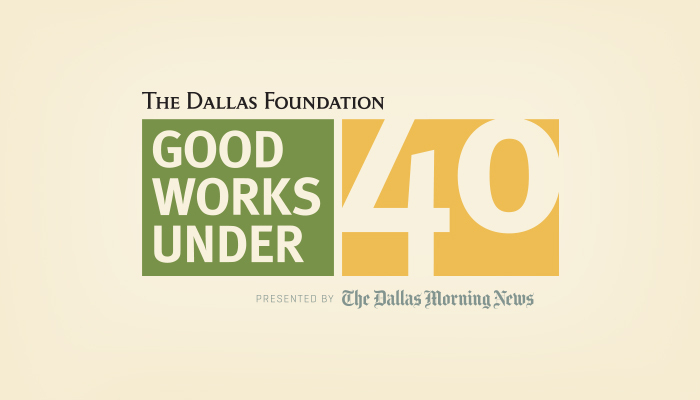 Nominations for The Dallas Foundation’s ninth annual Good Works Under 40 Award (GWU40) are now open. In partnership with The Dallas Morning News, The Dallas Foundation is searching for the most committed and passionate change-makers in North Texas under the age of 40. The grand-prize winner will receive a $10,000 donation to his or her charity of choice, and the next four finalists will receive grant checks for their respective organizations. Candidates can be nominated by board members or staff at the organizations where they volunteer, as well as by their peers. Candidates can also nominate themselves for the opportunity to win the $10,000 donation for the nonprofit of their choice. Nominees must be no older than 39 years of age, and they must not receive compensation for their charitable work in the community. The deadline for applications is Aug. 15, 2018, and the winner will be announced at a reception on Nov. 7, 2018. Applications will be reviewed by the 2018 Good Works Under 40 Committee, chaired by Meg Boyd and John Dickey. Last year’s winner, Elizabeth Viney, was chosen from more than 50 nominees. She has logged more than 400 volunteer hours with Advocates for Community Transformation (ACT), where she works with West Dallas residents, law enforcement and the civil justice system to reduce crime. The People’s Choice Award is also back again this year. This award provides an opportunity for the public to vote for their favorite GWU40 finalist, who will receive a $1,000 donation to the charity of their choice. Last year, Dominic Lacy received the inaugural award on behalf of the Deaf Action Center. GWU40 award guidelines and the application form are available here. For more information, please contact Mackenzie Causey at mcausey@dallasfoundation.org or 214-741-9898. The Dallas Foundation, established as a community foundation in 1929, serves as a leader, catalyst and resource for philanthropy by providing donors with flexible means of making gifts and bequests, the income from which primarily supports charitable causes in the city and county of Dallas. For more information, visit dallasfoundation.org.